THE CONTEST IS OVER. THANKS TO EVERYONE WHO ENTERED! A winner with all the correct answers will be chosen at random. First prize is a copy of the book “Beautiful Dark” by Greg Olson. Multiple entries are not allowed. In the case of a multiple entry only the first entry will be considered. Entries must be received by midnight on November 16th, 2008. Contest is open only to US Residents. 1. David Lynch was nominated for an Academy Award for three of his films. Name those films. 2. Where was David Lynch born? 3. What is the name of the executive at ABC responsible for canceling Twin Peaks? 4. Lynch at one point was planning a spin-off Series from Twin Peaks. What is the name of that spin off? Mulholland Drive. Rumor has it that the story would have been based around Audrey going to Hollywood. 5. In the film “Wild at Heart” in the scene where Sailor is changing the oil in his car, a man walks by in the background holding a long red pipe. What is the film that this is in tribute to? 6. In the film “Blue Velvet” Dennis Hopper played the role of Frank Booth. Which actor from another Lynch film had expressed interest in this role? 7. Monty Montgomery was a producer for the film “Wild at Heart”. What role did he play in the film Mulholland Drive? Blood shoots out of Cable’s mouth and splatters Cliff and the Giggling Secretary in the face. 9. What is the name of the pianist that collaborated with Lynch on Polish Night Music? 10. Name five women that have collaborated musically with David Lynch. 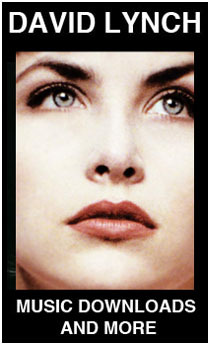 Five of any of the following would have been accepted: Julee Cruise (Twin Peaks), Jocylen Montgomery (Lux Vivens), Chrysta Bell (INLAND EMPIRE), Koko Taylor (Wild at Heart), Rebekah del Rio, Isabella Rosselini (Blue Velvet), Lara Flynn Boyle (Twin Peaks), Sheryl Lee (Twin Peaks), Marla Rubinoff (On the Air), Laurel Near (Eraserhead), Kristen Kerr (Room to Dream), Emily Stofle (Room to Dream), or Alicia Witt (Twin Peaks). Thanks again to Rowman & Littlefield Publishing for sponsoring this contest!